The saying goes that the only things certain in life are death and taxes. But when couples divorce, there are likely to be tax ramifications that can be a financial “kiss of death” if ignored. Most divorce attorneys who assist Clients do not adequately explore and analyze their tax picture. At Alpha Center for Divorce Mediation, we make sure to carefully identify these tax issues so that our couples have a true picture of their financial situation after the divorce dust has settled. The professionals at Alpha Center know that good tax planning puts additional cash in the pockets of Clients when they need it most. We also know how important it is to look at the tax consequences of dividing and transferring assets from one person to the other to avoid surprises and unfairness. Prior to the meeting, the Accountant-Mediator reviews the Client Financial Terms to identify any unforeseen tax burdens. They also review the last three years of tax returns to uncover any potential audit issues, missed deductions, or tax carryforwards, and determine the impact on the couple’s future taxes. Each party that signs a return is held liable for the information provided and the resulting tax obligations. If there are any obvious issues that may trigger an audit, both parties should be made aware of this. On the positive side, a divorce tax planner may uncover missed deductions, allowing one to amend a previous return that could produce up to thousands of dollars in tax refunds. The Accountant-Mediator will also analyze for future tax issues. This covers tax filing status per Internal Revenue Service regulations, rights to the dependency deductions, related tax credits associated with the dependents, proper methods for dividing assets to minimize tax liabilities, and the impact of alimony and child support on taxes. During your tax mediation meeting, the Accountant-Mediator reviews his findings and discusses the best strategies so that both clients have a clear understanding of the best path forward. We are conscious of the fact that in many couples, one spouse may be more familiar than the other with finances and taxes in their household. Part of being neutral means the Accountant-Mediator will make sure each spouse leaves with a sound understanding of the tax picture. Based on the findings and discussions, divorcing couples will run various scenarios and tax projections with the Accountant-Mediator to determine which one will result in the lowest taxes and the highest cash flow. The Accountant-Mediator then prepares the tax terms which are included in the Marital Settlement Agreement. Why do Taxes Matter when you are Separating or Divorcing? It could quite literally cost you tens of thousands of dollars in additional taxes if they are not properly addressed. This is especially true when dividing retirement plans during divorce. For example, employee benefit or pension plans subject to ERISA (401K, 403B, defined benefit, etc.) require a Qualified Domestic Relations Order (QDRO) in order to transfer the money from one spouse to another spouse’s retirement without incurring income taxes or the 10% early distribution penalty. There are also the missed tax savings by not properly structuring a tax plan that maximizes these savings. A proper plan can be designed only after running tax projections taking into account multiple factors to optimize the tax savings. It is critical that planning is pro-active and not re-active. 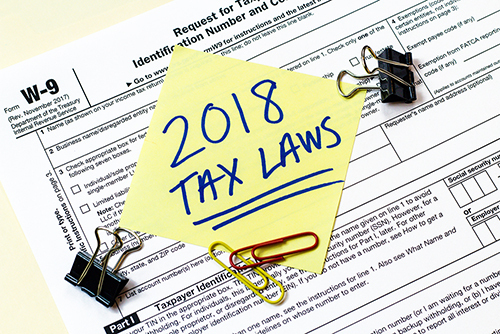 Once the tax year is over, it is difficult to implement some of the necessary strategies. It is also important to note that the IRS does not rely on the information in the divorce decree, since a state court cannot determine a federal deduction. They have their own regulations that need to be satisfied. How do taxes impact Asset/Debt divisions? Jack and Jill are in their mid-fifties and have been married for 30 years. Their children are grown and they are still living in the marital residence they purchased 25 years ago for $150,000. They have decided to divorce and are trying to amicably divide their assets. Jill would like to keep the marital home as this is where she raised her family. Jack would like to retain his 401k plan as he worked very hard at his company. They also have an investment property that they purchased 15 years ago which Jack thought he could live in for a year before selling it. Jack and Jill also had some stock, cash and CDs. 1. The marital residence was purchased 25 years ago for $150,000 and $50,000 was spent on an addition 15 years ago. Although the house was valued at $400,000, there was no mortgage on the property and the capital gain upon sale would be $200,000 ($400,000 minus $150,000 purchase price minus $50,000 improvements). This is less than the $250,000 Section 121 allowance on sale of personal residence, so no tax would be due upon sale. 2. The investment property was purchased 15 years ago for $100,000. It has $50,000 of depreciation which needs to been recaptured and taxed upon sale, as well as, tax on the capital gain of $150,000. 3. Jack will need to pay ordinary income taxes on the 401k distributions upon retirement. 4. Jack will have a $50,000 capital gain upon the sale of his stock. How does Tax Planning Improve Cash Flow? By reducing your tax liability, you are increasing the amount of cash you have available. Your Accountant-Mediator will recommend making adjustments to your Form W-4, so you can realize this tax savings in your net paycheck instead of waiting until you file your tax returns. Does your Accountant specialize in Divorce? What is the best qualifying filing status? Who should claim the dependents to minimize the overall tax liability? Are deductions and credits being lost to income phase-out? How does one release the dependency exemption to the non-custodial parent? Who is able to use any tax carryforwards? Which assets are more tax advantageous when dividing the marital estate? Do we have to pay taxes when we sell our home or other real estate? How will alimony payments or child support change my taxes? How do we properly divided retirement plans? Do we need to adjust our Form W-4 withholdings with our employers? How can we be sure you are acting in both our best interests, neutrally? You can rest assured that our Accountant-Mediators are very experienced in the intricacies of tax planning when it comes to separation and divorce. We do neutral mediation, so both spouses are put on equal footing and we’ll maximize the best outcome for each of you.